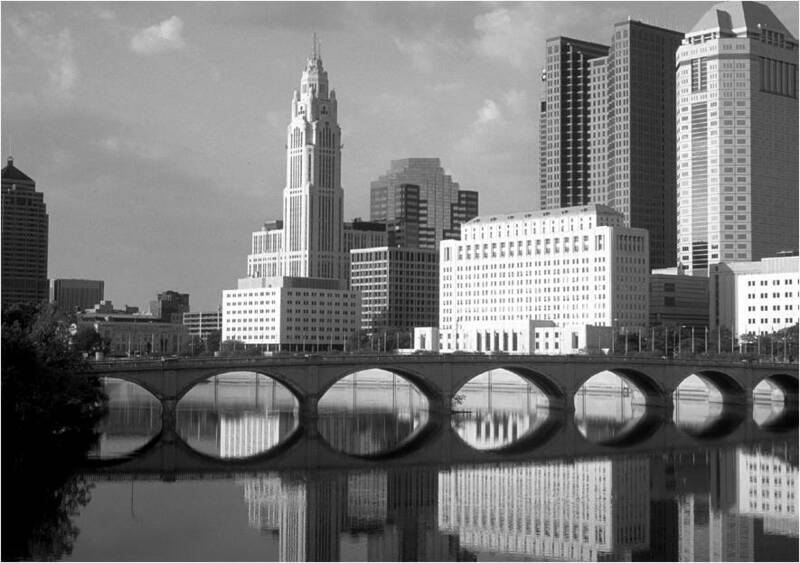 Some areas in Ohio are sprawling, some are building in compact, connected ways, and the difference between the two strategies has implications for millions of Ohioans’ day-to-day lives. The new report also examines how different development patterns relate to the quality of life in these areas—and the differences are startling. People in compact, connected areas have greater upward economic mobility than their peers in sprawling areas. That is, a child born in the bottom 20% of the income scale has a better chance of rising to the top 20% of the income scale by age 30. People in compact, connected metro areas spend less on the combined expenses of housing and transportation. Housing costs are higher in compact, connected areas, but these higher costs are more than offset by lower transportation costs. People in compact, connected metro areas also have more transportation options. People in these areas tend to walk more, take transit more, own fewer cars and spend less time driving than their peers in sprawling areas. Finally, people in compact, connected areas have longer, healthier, safer lives. Life expectancy is greater in compact, connected areas, and driving rates (and their associated risk of a fatal collision), body mass index, air quality and violent crime all contribute to this difference. Outcomes like this are why Greater Ohio Policy Center is dedicated to helping Ohio’s regions develop in a more sustainable way. Helping people in Ohio live healthier, wealthier, happier lives is why we do the work we do, and smarter development is a key part of making that happen. Read the full findings of Measuring Sprawl 2014 and see how every major metro area in the country compares when it comes to sprawl atwww.smartgrowthamerica.org/measuring-sprawl. Click the above image to be re-directed to MSNBC’s video clip. A few of the organizations that they mention include A Piece of Cleveland, Slow’s BBQ in Detroit (just went there this past weekend! ), and the LaunchHouse in Shaker Heights.